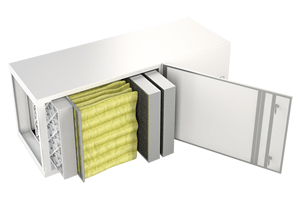 CleanLeaf’s series are engineered to capture airborne threats that grow rooms and facilities are faced with. Our units are housed in 16-gauge cold-rolled steel cabinets finished with a light reflective white polyurethane powder coating. Each unit is self-contained and can be utilized individually or in groups to accommodate any sized space. 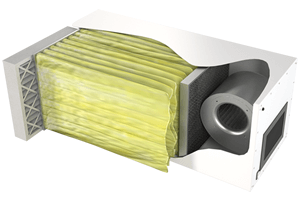 All units include a standard 3-year warranty on parts with the exclusion of filters. 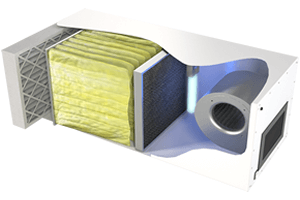 Clean Leaf's portable air cleaner controls odors while filtering powdery mildew, mold spores, pollen, bacteria, dust and all other potential contaminants to ensure you grow only the healthiest crops! Effectiveness Up to 400 sq. ft. 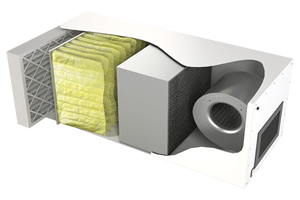 Designed to provide growing spaces and facilities with light odor, VOC control, and general particulate filtration down to 1 micron, CF-Series units aid in the prevention of mildew, mold, and fungus. CFP Series units excel in providing maximum odor, VOC control, and general particulate filtration down to 1 micron to various-sized grow rooms and facilities while assisting in the containment of pollens. The CF-PCO Series was developed to contribute moderate odor and VOC control to grow facilities by using an advanced process that kills bacteria, mold, and fungus through a photon and UV energy process that develops photocatalytic oxidation. HEPA filter for 99.97% down to 0.3 microns. 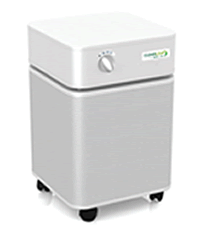 These units combat heavy mold and particulates in grow rooms and facilities of all sizes.